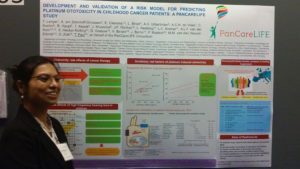 The PanCareLIFE project is interesting for many different audiences from cancer survivors and their families to oncologists and clinical trialists. Led by Dr. Kylie O’Brien of Pintail (PT), the team used a variety of communication channels to reach this wide range of audiences. 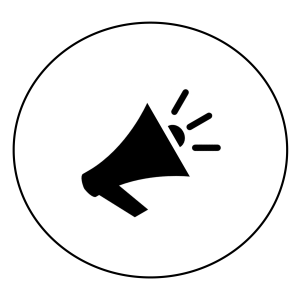 We have project brochures and flyers, in English, French and Czech, and regularly publish newsletters. We’ve had some excellent local media coverage thanks to our partners! 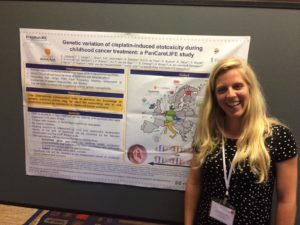 Researchers from across the project have also been busy disseminating the project at local meetings and international conferences, and in peer-reviewed publications. We are also collaborating with many other European networks and research projects (PanCare, PanCareSurFup, ENCCA, etc.) and patient groups (Childhood Cancer International, etc.). Stay in touch by joining our conversation on social media (@pancarelife and Facebook)!